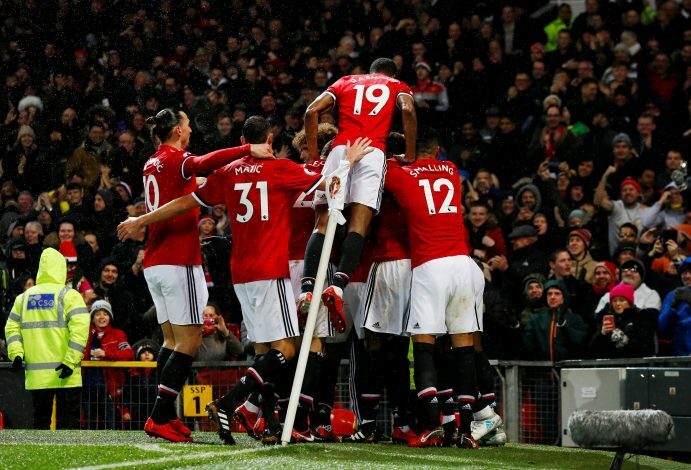 Manchester United are set to face Crystal Palace in the Premier League on Monday, and the Red Devils will be looking to solidify their position in the second place due to the danger of numerous teams beneath them vying for a Champions League spot. The Eagles, on the other hand, will be hoping to stay aloft in their bid for Premier League football next season as well, as their current position is simply too precarious for safety just yet. In that regard, the home side will be facing a United team that will be without one of their key men for the Selhurst Park fixture. As per the Manchester Evening News, Anthony Martial could potentially be out of the traveling squad for the game, as the Frenchman was not seen boarding the train to London. The 22-year-old has been in great form this season, having netted 9 goals already, and putting up scintillating performances on numerous occasions despite having been called off the bench for a great deal of them. Against Chelsea, the starlet was in a spot in the 4-3-3 that seemed to best suit his cut-in abilities, and while his performance wasn’t the best one yet, a comfort seemed to be seeping into his style of play, one that, if nourished properly, could wreak much havoc against oppositions. As of such, one does wonder as to why he could possibly have been left off the squad, but regardless, the likes of Mata and Lingard will be apt players in the 19-man traveling squad to start in his place. But the question remains as to how well will the Red Devils fare against Palace without Martial?